He born at Darikadaba village of Purulia under Manbazar 2 block. He is a popular poet in Santhal language. Sarada Prasad Kisku was a social reformer who fought against the vices of witchcraft in Santhal society throughout his life. He was the recipient of 1. President’s medal for teaching (1973), 2. 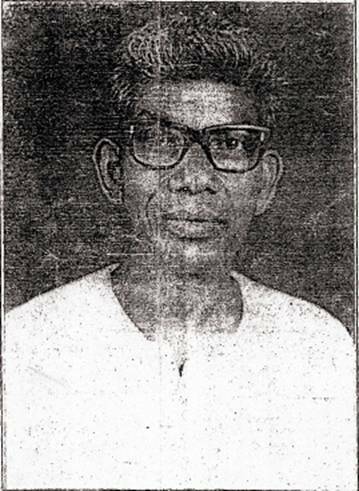 ‘Kavi-Ratna” from Bhagalpur University (1983), 3. ‘Hipri-Pipri’ award from Santragachhi Writers’ Association, 4. West Bengal State “Gunijon” Sanmana and many other awards.